This large kilim was woven by nomads in the Fethiye region. Wonderful drawing with a real tribal feel. Çiçim embroidery and metal bound thread. 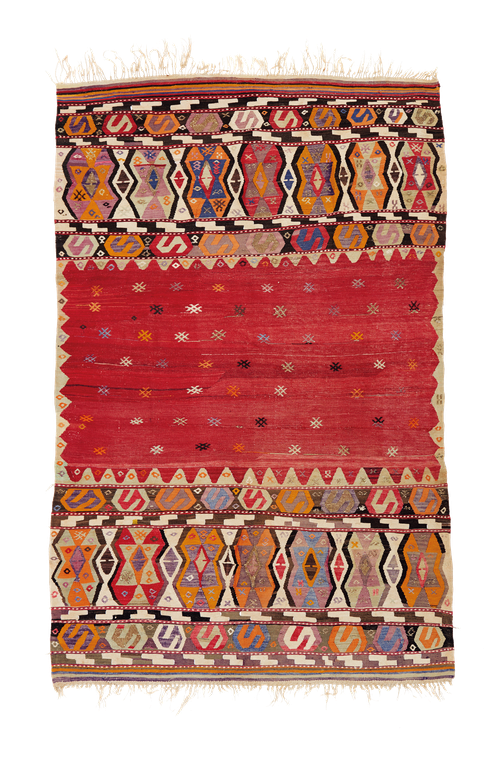 These special kilims were used to carry the bride's dowry gifts in the wedding procession on a camel or horse from her village to that of the groom.